Roots Landscaping is more than capable of handling any fencing job, big or small. We have completed a large and vast amount of projects in Fairfield County, CT and we continue to provide great business to that county every year. When you drive through Fairfield County, you probably have seen one of our landscaper’s projects in progress. We are here to serve your county. Roots Landscaping is a team of dedicated professionals that can help you choose the right fence for you. 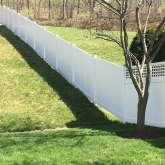 As members of the American Fence Association, we strive to provide pristine and high-quality fencing work. 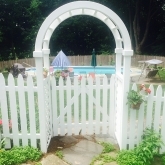 Fairfield County businesses and residence can complete their fencing projects with Roots Landscaping. There is an infinite selection of fence types to choose from, but the first thing you may want to consider is why you are getting a fence. Privacy? Security? Noise reduction? Safety precaution for your children and pets? Whatever the reason, we can provide quality fencing. To learn about our exceptional, high-quality fences and fencing products from our fence partners, visit here. 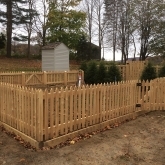 Roots Landscaping will consult with you about the type of fence that is best suited for your land and provide expert installation for a variety of different types of fences. There are many unexpected elements that can be hard to maneuver around, so it’s important that your fence is installed by experienced professionals. At Roots Landscaping, we will make sure your fence is properly installed by doing a full measurement around the area and analyzing the terrain to do our job best. 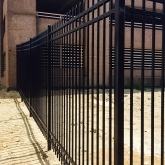 The cost will differ depending on the length, height and material of the fence. 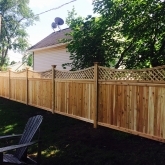 Our knowledgeable and professional staff will help you properly care for your old fence. When it comes to repairing an old fence, we are able to help you determine the problem and type of repair needed. We are Fairfield County’s fencing contractor for repairing or replacing the rotting wood. When fungi eats wood, the wood starts to rot and decompose. 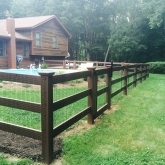 One of the most common problems in fences, it often needs to be chemically treated, patched and painted or stained in order to save the wood. The board may need to be replaced if the wood is too rotten to be saved. Replacing and repairing fence poles is an easy way to maintain the longevity of a fence and provide it structural stability. However, they often shift naturally over time and a greater portion of the fence can be damaged by them falling or deteriorating, so don’t waste any time if you need it done. The process of repairing holes and cracks will be different depending on the type of material you have for your fence (wood, vinyl, chain, etc.). The best way to keep your fence in shape is to patch the holes and fill the cracks in them, preventing greater damage. Call Roots Landscaping today to learn more about how we can repair your fence. This includes missing boards, which is a very common type of fence repair. The repair process is different depending on the type of fence, the length of the board and the height of the fence, so it’s important that you fix the missing boards in a timely manner. If you don’t do this, your fence may collapse, which costs much more than simply fixing up any missing boards. 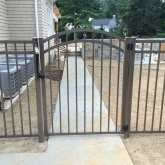 Call Roots Landscaping today at 203-304-7326 for all of your fence installation and repairs in Fairfield County, CT. We also provide expert masonry, structural repairs and supplementary landscaping services in Fairfield County if you need it. 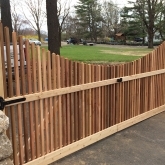 If you would like to learn more about our company, its services and our team, or are just unsure about what type of fence you need, contact Roots Landscaping today if you are interested in any of our services.